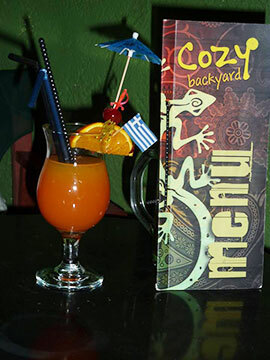 To Cozy Backyard Cocktail bar is located in the center of Plakias on Oneirou Street. It is a small cozy place with a beautiful backyard. Our music selection is mainly rock old and new. Besides the above we have a wide selection of beers and spirits, all served at the appropriate temperature with the appropriate accompaniment.